Posture is one of the main causes of back pain. In most cases back pain can be prevented by simply maintaining good postures all of the time. 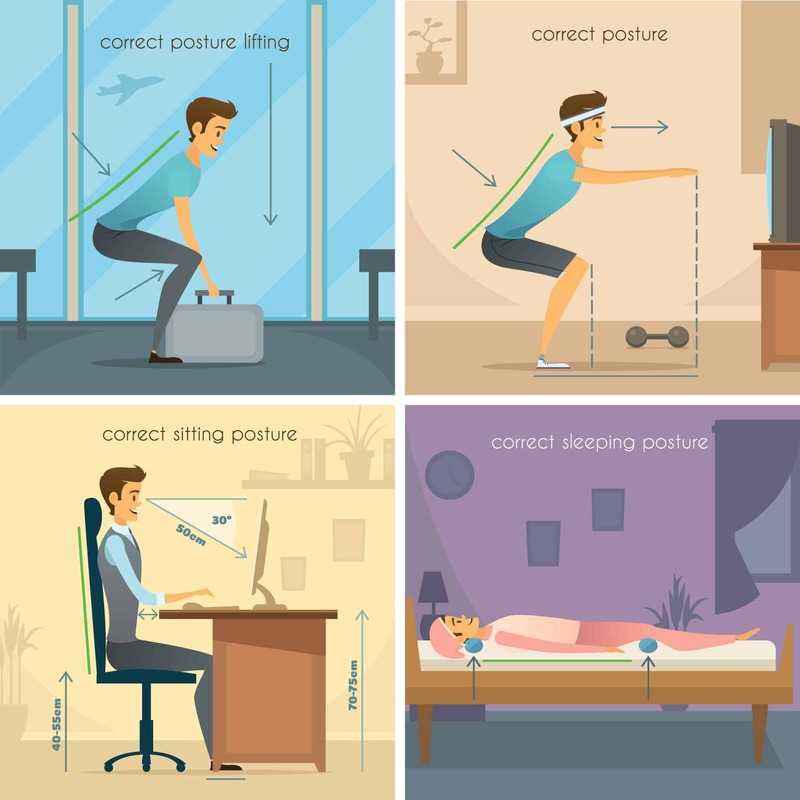 The four activities that can cause back pain when done with incorrect posture are lifting, exercising, sitting, and sleeping. This picture illustrates the correct posture when doing such activities. Other than back pain, back posture can also cause other health problems. So maintaining good posture all the time is important for your overall health.